Alzheimer’s is about as scary as they come, but it’s important not to jump to any conclusions if you think you or a loved one might be afflicted with it. If you know you have a history of Alzheimer’s in your family, then you should absolutely be on the lookout for it, but tread carefully. Here are some things you should avoid doing when it comes to diagnosing Alzheimer’s. As tempting as it might be to think we have all the answers with the internet just a click away, it’s important to remember that only a doctor with experience working with Alzheimer’s can give a diagnosis – generally this will be either a neurologist (who specializes in brain disorders) or a geriatric physician (who specializes in older patients). The internet can be a great source of information, but it doesn’t have all the answers and conducting a few Google searches is not the same as earning a medical degree, completing a residency, and building experience working with patients in a healthcare setting. As mentioned above, if you have a history of Alzheimer’s in your family, you should absolutely be on the lookout for it, but don’t make the mistake of thinking every lapse in memory is a sign of Alzheimer’s. Everyone experiences a certain amount of memory loss as a normal part of aging, so don’t start diagnosing your loved ones with Alzheimer’s simply because they can’t remember where they left their keys. While Alzheimer’s has long been linked with dementia and memory loss, it’s much more than that. In the later stages of the disease, patients begin to lose motor function and even control over their bladder and bowel movements. Their growing confusion and inability to remember things is only a part of the reason they end up needing help with daily tasks – the other big reason is that they need so much help physically performing daily tasks. That’s why, when doctor’s conduct an exam to determine if a patient has Alzheimer’s, they look at much more than just memory function. They do a complete physical exam, including checking the patient’s pulse, temperature, and their heart and lung function. They’ll also ask about things like the patient’s diet, their alcohol consumption, whether they smoke, and other factors that could impair their cognitive function, but could also affect other aspects of their health. Other cognitive functions also tend to be impaired in patients suffering from Alzheimer’s, including the ability to solve problems, do basic math, or use or understand language in daily communication. A doctor who knows what they’re doing will test all of these things before diagnosing a patient with Alzheimer’s. Alzheimer’s has seven stages, although most patients don’t exhibit any symptoms until the second or third stage. 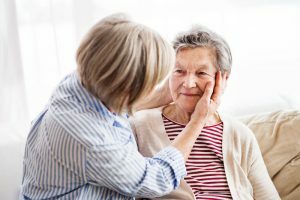 Nevertheless, it’s important to understand that diagnosing Alzheimer’s isn’t as simple as saying, “You have Alzheimer’s.” You need to determine what stage the patient is in before you can decide the best way to proceed, including the level of care they need, and how long it’s likely to be before they’ll need a higher level of care. Moving into assisted living can provide a great opportunity to start a new chapter in your life, but we cannot stress enough how important it is to make sure you choose the right assisted living community for you. If you think you or a loved one might need assisted living (whether now or in the near future) we have some tips to help you find the right one. The first thing you need to consider is the level of assisted living you’ll need. Do you need a lot of help getting around, or do you just need a helping hand with a few daily tasks? The level of assistance you need can help you determine which assisted living community will be right for you, although it’s worth considering that a lot of communities offer different levels for residents with different needs. On the other hand, if you or your loved one has a degenerative disease, such as Alzheimer’s or Parkinson’s, you might want to plan for the probability that you’ll need a higher level of care in a few years than you need right now. Some assisted living communities have a wait list, which is why it’s best to start looking around before you really need to move in. If you need to move in right away, the communities with a wait list might not be an option for you. Your choices will probably be limited by which facilities take your insurance and/or which ones you can afford. Set a budget and cross off any assisted living communities that don’t fit in that budget. If you’re relying on Medicare and/or Medicaid to cover any of your assisted living costs, you’ll want to make sure the assisted living community of your choice accepts one or both of those providers. Checking online reviews is a great place to start, but they’re not entirely reliable for a variety of reasons (most people only leave reviews when they’ve had an exceptionally good or an exceptionally bad experience, which seriously skews the overall ratings, and some companies have been known to buy favorable reviews). So, you’re better off asking your neighbors, friends and family members if they know of any good assisted living communities or if they have friends or relatives of their own who are happy in an assisted living community – or if they’re unhappy and that way you know which ones to avoid. You should also ask your doctor(s) if they can recommend any assisted living communities. They might only be able to continue seeing you as their patient if you choose an assisted living community with which they have an affiliation, so check with them to make sure you don’t end up in a community that doesn’t let you keep your doctor (whether because of contractual restrictions and/or geographical location). You don’t ever want to put your loved one in a place you haven’t seen with your own eyes. No matter how great the pictures look on their website, it’s always a good idea to go and have a look around yourself. Talk to the staff. Talk to other residents. Nothing beats physically visiting the place for yourself and getting a feel for it. Listen to your gut, and if anything feels off, you’ll know it’s time to move on with your search. No matter how much you love your general practitioner, they’re probably not the best person to help you deal with your dementia or Alzheimer’s. These days, there’s a specialty for everything, and with all the research and new treatments around dementia and Alzheimer’s, it’s more important than ever for you to make sure you get a doctor who keeps up to date on all the breaking news in that particular section of the medical industry. Your general practitioner may be a great place to start, but remember they’re just that: general, meaning they really don’t know much about your particular situation. Your GP might recommend a specialist they know, but if they don’t, you’re on your own. So where do you begin? How can you tell which doctor you should turn to in order to help you deal with your dementia or Alzheimer’s? We’ve come up with a list of a few common types of doctors who might be able to help, along with their qualifications and how to determine which one is right for you. A GNP is a registered nurse with a special focus on providing care to older adults. With illnesses such as dementia and Alzheimer’s becoming increasingly common in older adults, many GNPs are well-versed in the behavioral issues that tend to coincide with dementia and Alzheimer’s, as well as some of the best medications to help alleviate those symptoms. 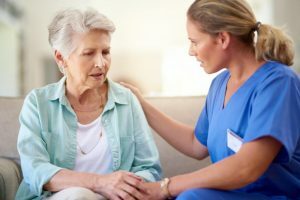 In order to become a geriatric nurse practitioner, one must complete a master’s degree in nursing and become certified by the American Nurse’s Credentialing Center. 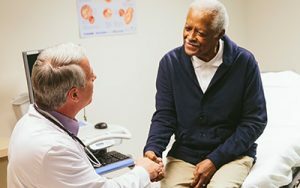 A gerospychologist is a psychologist who specializes in the specific mental health challenges that are commonly faced by older adults, including dementia and Alzheimer’s. 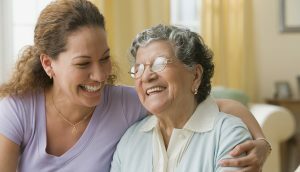 They are qualified to perform psychological testing and therapy that focuses on issues related to behavioral management of Alzheimer’s symptoms, as well as some of the issues that come with being a caregiver, coping, and grief and loss. The requirements for becoming a geropsychologist include getting a doctorate in psychology, followed by completion of an intensive internship, conducted under supervision, of working with older adults. A geriatric psychiatrist is similar to a geropsychologist, with the biggest difference being that a geriatric psychiatrist is qualified to prescribe medications to help treat some of the cognitive and behavioral symptoms that tend to come along with dementia and Alzheimer’s. They need to complete a doctorate in medicine, followed by a residency in psychiatry that places an emphasis on working with older adults. A neurologist is a doctor who specializes in diseases that are related to the nervous system, including Alzheimer’s, epilepsy and Parkinson’s. They need to have completed a doctorate in medicine, followed by a residency in neurology. Any given neurologist may or may not have experience working with older adults, so ask around and make sure you see one who specifically has experience with dementia and/or Alzheimer’s before you start seeing them as their patient. As always, we want to be your resource as you navigate the various stages with aging parents. Please do not hesitate to contact us with questions. Being a caregiver to aging parents is a tough job no matter how you look at it, but being an only child makes it that much more difficult. When you’re the only one your parent(s) can call on, it makes it that much easier for you to feel stressed, overwhelmed, and to neglect your own needs. It’s a recipe for disaster for everyone involved, so we have some tips on how you can take care of yourself and maintain a sense of balance in your life as an only child caregiver. If you’re the only one available to take care of your parents (whether because you have no siblings or because they all moved away), it can feel like the only option is to quit your job entirely in order to take care of your parents, but that’s not always the best move. In many cases, our parents need the most help when we’re in our 40s or 50s and at the height of our career, which makes taking a break from our career very damaging. Some people even end up taking money out of their own retirement account so they can cover their financial needs while they take care of their parents, but that puts their own retirement and long-term care needs at risk. Instead, talk to your employer to see if they offer any Employee Assistance Programs to help pay for you to hire a care manager to help you make decisions about things like in-home care vs. assisted living for your parents. There’s also the Family Medical Leave Act (FMLA), which is a federal law that requires employers to hold jobs for workers who are taking care of sick or injured family members for a defined amount of time. Respite care is another option. This is where you arrange for a friend, neighbor, family member, or in-home caregiver to take a shift while you take a day, or even just a few hours off to go take care of yourself. Whether that means doing chores around your own house, going to see a movie, or spending time with friends, it’s important to do whatever will give you energy to face your next shift as caregiver. You might not even be aware of all the resources for support you have around you. Friends, family members and neighbors are all willing to jump in and help out at a moment’s notice. Don’t be afraid to ask for help when you need it because the response just might surprise you. Not enough people know about all the volunteer organizations that are available to help out. The Retired Senior Volunteer Program (RSVP) is one such volunteer organization that provides senior companion resources and other volunteer-based services designed to help caregivers with aging family members. Despite the stigma that still exists around assisted living, it’s often the best option for seniors who are no longer fully capable of taking care of themselves. No matter how hard you try, there may come a time where you can’t do everything yourself, and that’s when it’s time to consider the benefits of assisted living. Not only do we help care for your loved one, we also provide a community of peers for them and resources for you to help you through the process. Call now to speak to one of our representatives about whether Stillwater Senior Living is right for your loved one. Do You Have an Advance Healthcare Directive for Your Pets? Most of the time, when we think of an advance healthcare directive, we mean a form that gives a friend or family member the power to make healthcare decisions for us in the event that we become incapable of making those decisions for ourselves. But who’s going to make decisions for your loved one’s pet if they become incapacitated? Pets can make our lives so much more fulfilling, and can even help ease anxiety in those with dementia or Alzheimer’s. But if their owner dies or becomes too sick to take care of them, they’re too often repaid for their loyalty by getting locked in a cage in a shelter, where they may or may not ever find another home. Fortunately, there’s a way you can make sure your loved ones’ pet avoids such a fate. It’s never an easy conversation to have, but it’s a necessary one. In addition to talking with them about what kind of healthcare decisions they want to be made for themselves if they ever reach a point of being unable to make their own decisions, ask them what kinds of decisions they would like done for their pet. In addition to managing who gets the pet when the owner can no longer take care of them, you should also ask them what they want done in case the animal becomes extremely ill. How much and what kind of care would they like for the animal, and at what point would they deem it best to put it out of its misery? While talking with your loved one about their wishes for their pet is a great first start, the next step is to start putting together a plan. That means thinking about things like: who’s going to take care of the pet after your loved one is gone? How much money will they set aside for the pet’s care? Where will that money come from? Whom do they trust to take care of their pet and their pet’s money? Do they have a backup caregiver in case something happens to the first person they choose to take care of their pet? Would they prefer to have those people work together to take care of the pet, or leave the care of the pet to one of them at a time? Again, talking is great, but it doesn’t beat putting it down in writing. If your loved one’s health deteriorates quickly, you’ll be absorbed with everything that comes with dealing with that and the pet will probably be the last thing on your mind – but someone will still need to take care of it eventually (how soon depends on the kind of pet, since dogs will probably need to be walked and/or fed within a few hours, while cats and fish can wait a little longer). Relying on memory at such an emotional time is risky at best. 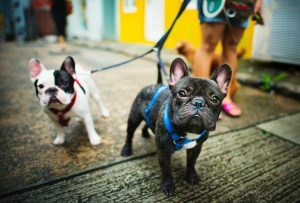 If you already have it in writing in the form of an advance healthcare directive for their pet, then you have something to refer to that tells you what your loved one wants done with their beloved pet while you deal with their health. It’s safe to say that there are a wide range of assisted living communities available, and finding the right one means making sure it meets all your specifications when it comes to taking care of your loved one. There is no one path to aging. 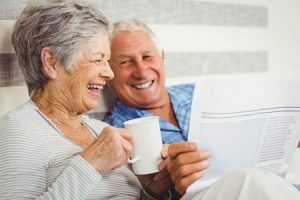 The journey is different for everyone, so how do you make sure an assisted living facility will be able to help your loved one with their unique needs? Many people looking for assisted living worry about memory care, but not all assisted living communities offer memory care – or the same level of memory care. So how can you make sure your loved one will receive the care they need? Here are some things you might want to look out for (or ask about) when touring assisted living communities. Sometimes, something as simple as using a color-ringed plate, or putting the toilet in front of a brightly colored wall can go a long way towards helping seniors with cognitive decline navigate their world and perform their day-to-day tasks. When visiting assisted living communities, look for signs that they make proper use of color and other visual aids to help residents navigate their space. Assisted living communities that make areas distinctive from one another (even if it’s just by using a different color scheme for each area) and clear walking paths make it easier for residents to navigate the building on their own. Exit doors can also be decorated with murals in order to distract residents from leaving (in addition to an alarm that will let staff know if a resident has, in fact, exited through one of the doors). Studies have shown that regular exposure to a specific spectrum of light throughout the day can help decrease anxiety, agitation, depression, and other symptoms of Seasonal Affective Disorder. It can also help slow the decline of cognitive abilities for those with dementia or Alzheimer’s. As a result, some assisted living communities have started using light therapy programs as a way to help residents regulate their circadian rhythms using dawn simulators inside their apartments, adjusting the colors and level of lights throughout the community during the day, and encouraging residents to go outside and get some exposure to the sun. Have you ever walked into a room and forgotten what you came for, then returned to your spot, only to immediately remember what it was you needed? Returning to the location where you originally had that idea can help prompt it. It’s the reason why students are often advised to study in the same room where they’ll be taking the test. Those same tricks can be used to help stimulate memories in those suffering from memory impairment. Memory boxes containing photos and mementos can be a great way to help residents remember certain events – they can also be placed outside of rooms in order to help residents identify which room is theirs. Other assisted living communities have added other senses, such as taste, smell, music, and tactile art in order to help residents improve their memory and remain active members of the community. Some have even successfully incorporated residents into the cooking and baking process by using taste and smell to help them recall some of their early days in the kitchen. 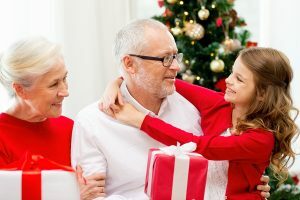 Gift buying is always one of the most trying parts of the holiday season, but it can be even more difficult when you’re trying to shop for someone in assisted living. With restrictions on their space, mobility, and/or abilities, it can be hard to narrow down the options to just those things that fit both their requirements and their interests. That’s why we came up with some tips to help you find the perfect gift for your loved one in assisted living. Most assisted living communities have a salon on site to help their residents look and feel their best. A trip to the salon can be a real treat for someone living in an assisted living community so consider buying them a gift certificate you know they’ll use. Alternatively, you can buy them a gift certificate to your favorite salon and take them out for some quality bonding time with you. You can either put together a scrapbook of your favorite pictures of the year or, if your loved one likes to scrapbook, bring the supplies and plenty of photos with you so you can assemble it together. It’s a great opportunity for you to spend some quality time together and reminisce over all the memories. Seniors get cold more easily than the rest of us, so a comfortable bathrobe and slippers can go a long way to keeping them warm and comfortable through the long winters. Just make sure the slippers have non-stick soles. You can even get silly and buy them slippers with bunny ears or something else they enjoy so you know they’ll smile every time they put them on. It might feel impersonal, but it could be a big help. Seniors living on a fixed income sometimes have a hard time covering all their wants and needs and they’re often too embarrassed to ask for help, so by putting a little extra money into their account, you can really make their season bright. It might be a little corny to say that the best present is just your presence, but it’s often true, especially for those living in assisted living. When seniors are no longer living at home, it can be easy for them to feel distanced from their loved ones, so just showing up to eat a meal with them, or even just listen to them for an hour, can be an incredible gift. We all just want to be remembered and valued and the best way we can give that to someone is by simply showing up and spending time with them. As the Baby Boomers continue to age and live longer than previous generations, assisted living communities have begun filling up. This means you can’t wait until the last possible moment before looking into locations, prices, and offerings and still expect to get your preferred location. If things are starting to go downhill, you need to start reaching out to assisted living communities in your area sooner rather than later. Depending on the community, you might have to pay a deposit in order to be put on the wait list. The amount of the deposit can range anywhere from $250 to $2,000, depending on the community. The good news is that most of those deposits are available for a refund if something comes up and you decide you need to be taken off the wait list – whether because things turned out not to be as bad as you thought, or because you found a different community that was better suited to your needs. Each assisted living community usually has a variety of apartment options, ranging from single bedroom to full suites. Most communities will allow you to place a deposit on an apartment that meets your specific needs. This is definitely something to consider, especially if the community offers a full refund on deposits. By taking advantage of this, you can make sure you’re the first to know when the apartment you want is available. If you’re not ready when the apartment becomes available, the assisted living community will usually let you maintain your place on the wait list for the next available apartment that meets your specifications. Just like every assisted living community has its own policies and procedures regarding how it cares for its residents, the policies regarding their wait lists are also going to vary between communities, so be sure you do all your research before putting down a deposit. 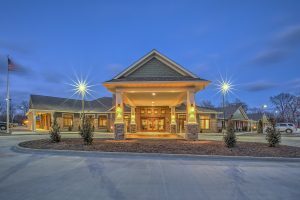 In addition to different deposit and refund policies, some assisted living communities offer the “first right of refusal” to families on their wait lists. When a family places a deposit on a particular apartment in an assisted living community, most communities will hold that apartment for the family for a specified amount of time (usually about 2-4 weeks). If, on the other hand, another family becomes interested in that same apartment, the assisted living community will usually give the family who paid the deposit on it at least 24 hours to decide if they want to take the apartment. If they decide to let it go to the second family, they can have their first right of refusal moved to another apartment or maintain their position on the wait list for the next apartment that becomes available. Many people experience increased joint pain as the weather starts to get cooler. Whether it’s the colder temperatures, a change in air pressure, or both, it’s important to know what you can do to reduce joint pain in the months to come, or at least minimize it. Since cold weather seems to be a primary predictor of joint pain, the first thing you need to do is stay warm. As soon as the weather starts to drop, pull out the pants, the long sleeves, and the layers. If it helps to keep the thermostat in your home turned up and you can afford the slight raise in utility bills, go for it. You also might want to consider an electric blanket or a heating pad you can keep in your bed to help you stay warm all night long. Inflammation, high blood sugar levels, and poor nutrition can also contribute to joint pain. Healthy fats, such as the ones found in olive oil, avocado oil, and nuts and seeds can help moderate both inflammation and blood sugar, while keeping us full. They can also help our skin from drying out. Other tips to remember include getting plenty of micronutrients from fruits and veggies and staying away from sugar and trans fats. To be sure you’re doing everything you can to minimize joint pain through diet, you might want to consult a registered dietician. This tip can be hard to follow since many of our opportunities for exercising outside disappear, especially if the cold weather makes it harder for you to move. If you enjoy outdoor activities in the fall and winter, just be sure to layer up every time you go outside. For many people, keeping up a constant (even low-level) movement is enough to stay warm and keep the pain at bay. If going outside in the cold is too challenging for you, remember there are plenty of exercises you can do inside and even from the comfort of your own home. Whether it’s strength training (such as pushups and squats), jumping jacks, or yoga. Strength training also has proven benefits to keeping bones and joints strong and yoga has plenty to offer when it comes to, not only increasing flexibility, but lowering inflammation and improving joint pain. Not only do they feel wonderful, but in addition to lowering stress and inflammation, massages also improve circulation. 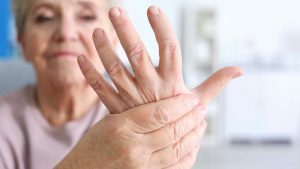 If you’ve been having trouble with a particular joint, you might want to ask your massage therapist to focus on that particular area to help increase the blood flow and lower pain in that area. Finally, it’s important to plan ahead. That can be easier said than done here in the Midwest where the weather can change on a moment’s notice, but try to keep an eye on the weather predictions and check the temperature before you go out so you know when to layer up. Staying one step ahead can be key to avoiding pain.